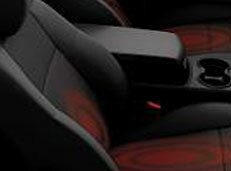 At AV Solutions we have been specialising in the installation of aftermarket heated seats now for over 10 years. We have installed these kits into 100’s of vehicles over the years, meaning you can be safe in the knowledge that your car will be treated in the right manner. With all of our retrofit heated seat installations the existing trim is removed and put back in exactly the same way as they came off consequently you wouldn’t see any difference . Our Aftermarket Heated Seats are installed in the very same way as a factory fitted kit, the kits feature 2 heat settings and heat both seat base and back. Our kits can be installed into almost any vehicle regardless of the seat style and material used. 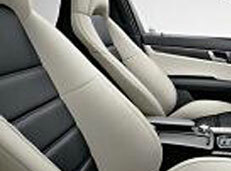 Heated seats can also be installed individually as well as a pair. We also offer installation in the rear of a vehicle. Switches for heated seats are normally installed on the side of the seat base for easy access and most importantly maintaining a factory finish. The switches installed are a 3 way switch consisting of: HI OFF LOW. Our heated seat kits are quick heat carbon technology covering both seat base and back. There is also a 3 Year warranty with all our installations. A: Yes our kits work with cloth and leather interiors. Q : Can you install heated seats at my office or home? A : We prefer to install all heated seat kits on our Manchester based premises but do offer a mobile service if preferred , this may incur an additional charge depending where you are based . A : This depends on the vehicle as some are more complicated than other and require extra pads but typically prices start from £350.00 + vat . * Please contact AV Solutions Manchester if you require any further information on our retro fitted heated seats .